Eastern Group Publication (EGP) was presented an award for outstanding reporting by New America Media, an organization that represents ethnic media outlets and journalist from across the country. More than 200 people turned out Sept. 19 for the 2017 NAM California Ethnic Media Awards in downtown San Francisco. Former EGP reporter Nancy Martinez, (pictured) was recognized Sept. 19 by New America Media for Outstanding Coverage of the Environment. Judges selected 12 winners in 11 categories, including Politics and the 2016 Election, Health Care, Immigration, Education, Sports, Youth Voice and Cross Cultural Reporting. 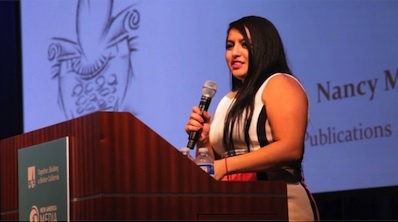 Awardees were chosen from a pool of 140 entries in four languages across California. There are hundreds of ethnic media outlets across the state, serving communities both large and small. Whether they are large broadcasters, daily broadsheets or weekly and monthly magazines, hundreds of thousands of California residents regularly turn to ethnic media for news and information. Former EGP Reporter Nancy Martinez won in the category Outstanding Coverage of the Environment for her story on the decades-long struggle to get elected officials and state regulars to address Exide Technologies’ toxic emissions and soil contamination in east and southeast Los Angeles, even as nearby Porter Ranch got immediate attention last year when a natural gas leak threatened the area’s more affluent residents. The awarded article is one of dozens of stories EGP has published over the last decade on the Exide environmental catastrophe that continues today, as residents and state regulators battle over the plan to clean up lead and other chemicals at thousands of homes, schools, daycare centers, businesses and parks. State regulators, environmentalists and public health groups have called the fallout from Exide’s decades of polluting the largest environmental catastrophe in California history. Martinez’ article was the first to point out the stark difference in how residents in lower-income, predominantly Latinos communities are treated compared to wealthier, predominately white residents when it comes to environmental justice issues. The article gave voice to the frustration and fear of residents long ignored. “EGP thanks New America Media for its recognition of Nancy Martinez’ outstanding reporting on the Exide environmental catastrophe, and the double standard that still exists when it comes to environmental justice for people of color and limited means,” said EGP Publisher Dolores Sanchez. Inside Climate News – Southern California has some of the dirtiest air in the country, but it’s a lot more breathable than it used to be. Much of the credit goes to the powerful regional agency responsible for stricter rules and enforcing federal air quality standards over the last 19 years. Now that agency, the South Coast Air Quality Management District, is at the center of a political power struggle. A new Republican majority has worked to roll back the district’s innovative policies that led to cleaner air. 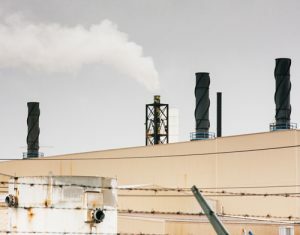 That prompted concern among clean-air advocates and the poor and minority communities disproportionately affected by the region’s dirty air that the board would continue to erode pollution controls. So they are fighting back. “The system is broken and the board does not reflect the voice of the people who are suffering in their communities,” said Lizette Hernandez, a Southern California organizer for the Sierra Club, an environmental organization. Board member Shawn Nelson, a Republican, called the bill a power grab by state Democratic lawmakers. It is a “kangaroo effort all to perpetuate this idea that this board is out of control, doesn’t care about clean air, which is completely ridiculous,” he said. The battle began when Republican appointees gained a majority of the district in January. Traditionally, the board has operated in a non-partisan manner. It was led since 1997 by executive director Barry Wallerstein. But the new Republican majority immediately changed direction. In a closed-door meeting in March, it finalized a controversial rule allowing oil refiners, power plants and other major polluters to release more smog-producing emissions. It also ousted Wallerstein. “This was an ‘aha’ moment when it became so clear that the oil industry had so much power and influence over this board,” said Adrian Martinez, a staff attorney for the environmental group Earthjustice. Sen. Kevin de León (D-Los Angeles) introduced the bill to expand the board and it passed the Democratic-controlled state Senate in May. this month. Gov. Jerry Brown has not said whether he’d sign it. The South Coast district is California’s largest air quality agency by population: More than 40 percent of the state’s 39 million people live within its boundaries, which include Orange County and large portions of Los Angeles, Riverside and San Bernardino counties. The strategy of Republican board members is to all but eliminate traditional regulatory enforcement. The district has proposed a voluntary compliance plan that would essentially pay companies to reduce emissions, via financial incentives. Republicans say those would reach $1 billion a year by 2031, but the environmental groups are skeptical it would work. Nelson defended the board’s change in direction, saying regulations put a burden on business that ultimately affects everyone. Many lower-income and minority communities are located near power plants, refineries, oil and gas fields, and other facilities that pump out volatile organic compounds and greenhouse gases. For instance, the Los Angeles community of Wilmington and the city of Santa Monica are only 25 miles apart. Eleven refineries and oil and gas extraction facilities are located in Wilmington; 90 percent of the 53,000 residents are people of color and the median household income is $40,000. A 2014 national study of the demographics of air pollution exposures included parts of the South Coast district. Researchers found that there, on average, people of color are exposed to levels of nitrogen dioxide in outdoor air pollution 38 percent higher than those of white people. 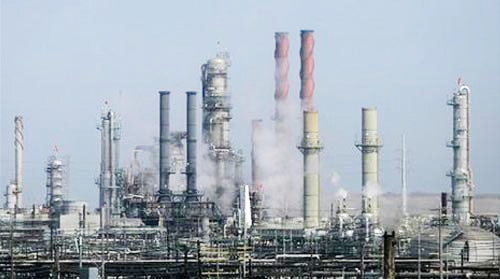 Hernandez, the Sierra Club organizer who lives in a part of South Los Angeles surrounded by refineries and oil and gas production facilities, said the communities most in need of environmental representation are those that have suffered for decades under the weight of racial bias and economic neglect. Putting environmental justice groups in charge of air quality would be a sea change. Carol Hernandez, 32, a social worker in San Bernardino County, grew up in Fontana, where nearly 60 percent of the population is Hispanic. When she was a girl in the 1980s, the air was foul, and it’s still foul now, she said. Hernandez (who is not related to Lizette Hernandez) said her 5-year-old daughter, Alani, often gasps and wheezes in the grips of asthma attacks, which she says are aggravated by the air pollution. 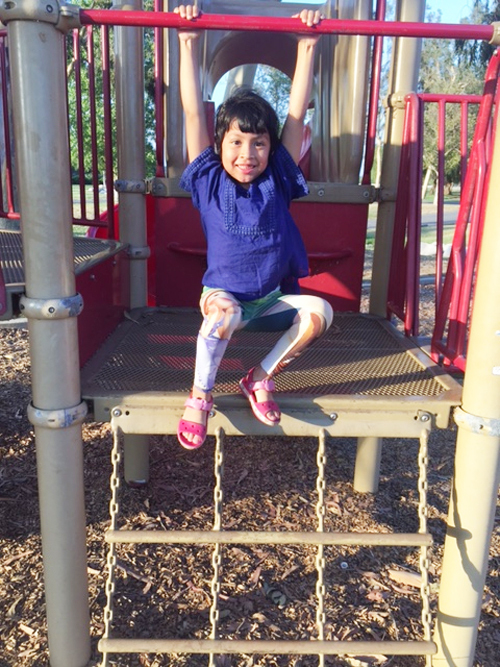 “We can’t spend a lot of time outside playing because it gets so bad she can’t breathe,” Hernandez said. The air quality in San Bernardino County has been graded F by the American Lung Association because of the health hazards posed by the bad air, though it has shown improvement in the last decade. A longer version of this story was published Aug. 5 on the Inside Climate News website. Recently, our neighbors in the City of Maywood suffered due to a chemical explosion of toxic magnesium at a local plant. This is not the first incident of chemical exposure to afflict the Southeast region. Residents are still recovering, legally, physically, financially, and emotionally, from lead contamination that spewed from a nearby Exide battery plant in Vernon. These occurrences have had a tremendous effect on the residents’ health and well-being, and the lack of aid and assistance the community has received in the aftermath increasingly disheartening. More specifically, Maywood has received little of the necessary relief provided by Los Angeles County and its Department of Health (DPH). The minimal support that the County has supplied has taken the form of an inadequate evacuation decree (a radius of only one square block) and the provision of cleaning services to homes on only one side of the affected street. The County has ignored the fact that the explosion subjects the entire neighborhood to devastating consequences, and its disregard has left the mostly Latino, working class community in distress, as it struggles to find the means and support required for recovery. This neglect does not, and will not, go unnoticed. In stark contrast, the County has paid a disproportionate amount of time and money to other communities affected by recent environmental crises. For example, when a gas leak occurred in the suburban and more affluent Porter Ranch area, action was quickly taken. Press conferences and hearings were held, studies were commissioned, and there was a call for an evacuation with a radius of five miles, despite the leak having been deemed non-hazardous. I do not claim that the DPH’s response to this disaster was excessive or superfluous. Instead, I argue that Maywood, and other Southeastern LA cities affected by their own recent environmental crises, must receive the same humane treatment. The greater question looms: why do communities like Porter Ranch receive much greater aid and attention in times of crisis than industrial communities? Unfortunately, Latino communities such as Maywood have long faced social injustices, and environmental inequities do not escape the extensive list of discriminations. It is time we take action. Southeast LA cities must be protected, to the same extent as Porter Ranch, in case of future catastrophes. I request that the County and Department of Public Health establish a standardized and impartial system that details the proper response to such environmental calamities. Protocols must be instituted, so that when danger does strike, each and every city in Los Angeles County, despite income or racial status, will be defended by the justice of the law. This is not only a legal duty, but also a moral duty. We must defend the notion that each and every life, regardless of their residential zip code, matters. At a time when our country seems to be at its most unstable, with acts of hatred and wickedness plaguing the nation, we must come together as a united front, bound by our humanity, to tackle this injustice so that we may see a better future for not only ourselves, but for future generations. Pastor William D. Smart currently serves as the CEO of the Greater Los Angeles Southern Christian Leadership Conference. Los Angeles City Attorney Mike Feuer today announced criminal charges against five Boyle Heights metal plating businesses, with allegations ranging from improperly disposing of hazardous materials to metal dust contamination outside of the business. “Families in every Los Angeles neighborhood deserve to be protected from dangerous toxins that threaten their health and safety,” said Feuer, whose office is working with the California Environmental Protection Agency on filing the charges. The cases were the results by the CalEPA’s Environmental Justice Compliance and Enforcement Working Group to coordinate with local agencies. —Chromal Plating, at 1748 Workman St., and company executives and general managers, alleging that corrosive yellow and black oily liquid was found on the inside floors of the business, and metal dust shavings were seen outside near storm water runoff, and no labeling of multiple waste containers. Each count carries penalties of up to six months in county jail and a $1,000 fine, with the exception of the charge against Nature’s Design. If convicted, the company and Leong face up to a year in county jail and up to $100,000 in fines. Leong’s company was previously convicted in 2008 of illegal hazardous waste disposal, and was ordered to pay $80,000 in penalties and restitution. Arraignments are set for Jan. 14 in Department 47 of the Criminal Courts Building. Further actions are being planned for the Pacoima area, according to Feuer’s office. It’s often said justice delayed is justice denied. For millions who live in disadvantaged California communities, environmental justice, protection from the noxious effects of air pollution and other ambient toxins, is long overdue. It has been more than 20 years since President Clinton signed Executive Order 12898, focusing federal attention on the environmental and human health effects to minority and low-income populations. The goal of environmental justice was clearly stated: protection, fair treatment and meaningful involvement for all communities. Two decades later, communities across the country continue to be unnecessarily exposed to pollution that threatens their health and quality of life. The unequal burden of pollution is starkly evident in low-income communities. While California has long been an environmental leader and its policies have even served as models for other governments, the state’s track record in tackling environmental justice issues leaves plenty of room for improvement, particularly when it comes to air pollution. According to the American Lung Association’s 2015 State of the Air report, California retains the embarrassing distinction of being home to the nation’s worst air. Places such as Bakersfield, Fresno, Long Beach, Los Angeles, Modesto, Oakland, Sacramento, San Francisco, San Jose, Riverside and Visalia sit atop the inglorious lists of America’s most polluted cities. In the San Joaquin Valley, one recent study found ozone levels exceeding the federal standard caused 460 premature deaths per year. The same study concluded the annual economic cost to the region of health complications and lost productivity due to unhealthy air was over $3 billion. In East Los Angeles, Boyle Heights has some of the worst air pollution in the state. Surrounded by a freeway interchange that carries over 500,000 cars and trucks each day, the risk of pollution-related disease — asthma, heart disease, respiratory distress, cancer — and premature death is two to three times higher than for the general population. —Diesel exhaust contains more than 40 toxic air contaminants, including many known or suspected cancer-causing substances. —The I-710 freeway passes through 15 cities and areas with a population of over 1 million residents — about 70 percent of which are minority and disproportionately low income. —California Department of Public Health data shows 2010 statewide asthma hospitalizations costs were over $1 billion. —The Ports of Long Beach and Los Angeles are the source of 20 percent of diesel particulate emissions in Southern California. So what are we to do? And how do we help those who need our help the most? One California legislator, Assemblymember Henry T. Perea, is confronting what has been clearly identified as one of the largest sources of air pollution: heavy-duty trucks. These hulking highway behemoths belch out 40 percent of the state’s air pollution and 20 percent of the greenhouse gases. The legislation would increase funding for technologies in heavy-duty transportation. Technologies that can help make California’s air cleaner right now by getting older, high-polluting trucks off the road and displacing diesel with a lower-carbon and non-petroleum fuel that can help us meet emission reductions goals. The Clean Truck Act is a strong measure to simultaneously reduce air pollution and greenhouse gas emissions. The bill has made its way through the Assembly and Senate and is headed to the Senate Appropriations committee. A legion of supporters across the state including community groups, regional air quality agencies, health care organizations, municipalities, and business organizations are hopeful it will be approved and sent to Governor Brown for his signature. A good friend liked to say, “Caring may be good, but doing something is even better.” It’s time to act and AB 857, the Clean Truck Act, will provide the incentives needed for the trucking industry to replace diesel vehicles with cleaner, more efficient transportation. The result would be cleaner air, reduced pollution, less greenhouse gases, and healthier communities for all Californians, especially the poor. Californians should expect our environmentally-focused Governor — a man of great conscience who recently met with Pope Francis on environmental justice — will sign AB 857 without delay. Lest justice again be denied, continuing to place the unequal burden of pollution on low-income communities. About the authors: Dolores Huerta is an activist and labor leader who co-founded what would become the United Farm Workers. Bishop Juan Carlos Mendez is founder of Churches in Action, a vocal advocate for the hungry and displaced. Elvia Barboa is executive director of Padres Contra El Cancer, an organization committed to improving the quality of life for Latino children with cancer and their families. Ed Avila is president of the Alliance for a Better Community (ABC). ABC promotes equity for Latinos in education, health, economic development and civic engagement.